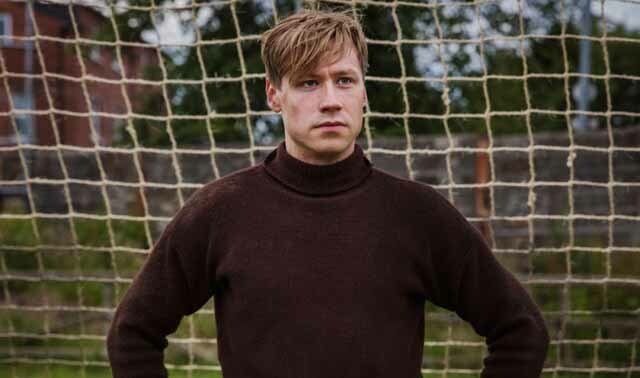 The Keeper tells the incredible true story of Bert Trautmann (David Kross), a German soldier and prisoner of war who, against a backdrop of British post-war protest and prejudice, secures the position of Goalkeeper at Manchester City, and in doing so becomes a footballing icon. "Am I my brother's keeper?" Cain sneered at the Lord in a famous bit of Biblical sass asking about the accountability and responsibility we should - or should not - bear for the actions of others. 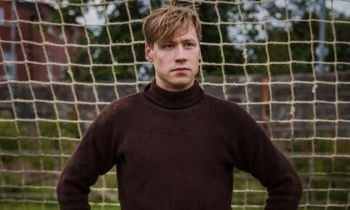 It's a question the former German POW Bert Trautmann poses symbolically, through his words and behaviour, in Marcus H. Rosenmüller's new biopic 'The Keeper'. Distancing himself from the horrific deeds of his compatriots and remaking himself as the best goalie in northern England after WWII, Trautmann is not his brother's keeper - although he does become Manchester City's. 'The Keeper' is his story, following Trautmann’s early adult life and career from when he was poached from a Lancashire prison camp to play in goals for a local English football team, to his later success with Manchester City, amidst the backlash at his appointment to the club. The film also heavily focuses on his courtship and marriage to his wife Margaret (Freya Mavor) and how the couple copes with anti-German sentiment from the public, Bert’s recovery from a devastating injury, and a sudden family bereavement. The tone of the film is as melodramatic as this description may suggest. But it’s oddly empty, with a lack of thematic consistency or through-line, no strong overall message about Bert or his story really emerging beyond ‘he is a good man and also a good goalkeeper.’ While winningly sympathetic to its subject, the film jumps wildly from one dramatic event to another without any regard for clear character development or progression. A twist in which a repeated flashback turns out to have been falsely relayed to the audience feels like a cheap and convenient way to highlight the trauma and darkness in Bert’s past, but without even really impacting the rest of the story. The slightness of this symbolic storytelling means other dramatic devices, such as swelling musical accompaniment and strong, direct language are frequently deployed to tell the audience, rather than show us, how to feel about the on-screen action. ‘I’ve sacrificed everything to be with you!’ Margaret screams at her husband in the throes of a heated argument: this is a baffling claim, given what we’ve seen of their life together. To be fair to Mavor and Kross, they do make this relationship occasionally compelling, despite the quality of the dialogue, which overall plays like a post-watershed version of a Sunday night ITV drama. However, the film does suffer with inconsistency of characterisation as well as plot and pacing. 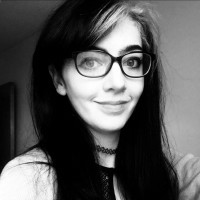 While we get sneaky glimpses into Margaret’s attempts to remain cool and aloof around Bert early into the film, granting us some interiority, she devolves further into ‘hysterical yet supportive wife.’ As weak as this characterisation of our lead female character is, the supporting cast are even thinner, with a sadistic prison guard coincidentally revealing a tragic backstory, so that the British soldiers aren’t completely vilified; Margaret’s younger sister being played by the same eight-year-old-ish actress in scenes from 1948-1952; and a granny who exists solely to make fart jokes. Gas. The story of 'The Keeper' is undoubtedly inspirational, and Bert Trautmann sure could save a penalty kick, but it’s beyond him to save this loosely-scripted and overwrought period drama, even at such a laggy pace.